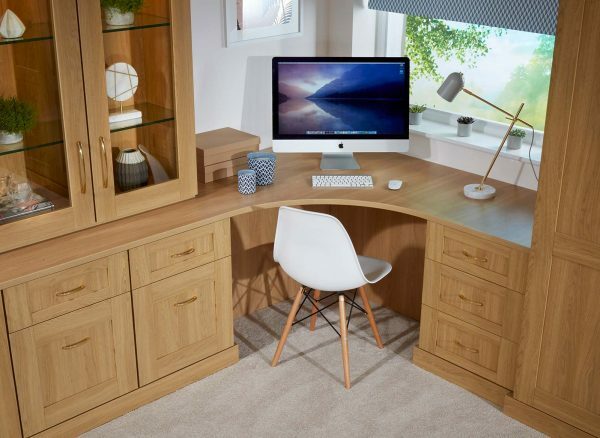 Achieve a multi-functional study space with a timelessly elegant design. 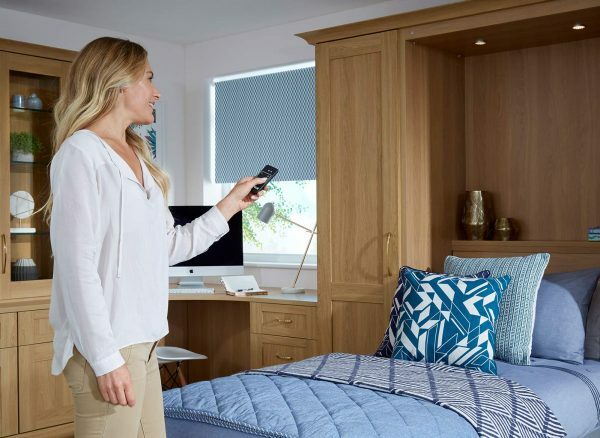 This Verona furniture suite incorporates versatile storage, an attractive display cabinet and a convenient fold down bed which can instantly transform from a study into a comfortable guest bedroom. 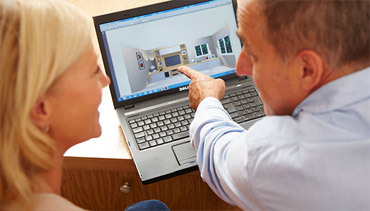 Our expert Strachan designers can create a bespoke furniture design to maximise the use of space to suit all your individual needs. With features such as curved desks and fitted filing cabinets, our considered furniture designs will serve you tirelessly all hours day and night. Your guests will enjoy evenings spent reading from the comfort of their bed, thanks to the integrated LED lighting in this wall bed unit. Each light can be operated via remote control, meaning you can turn them on or off without leaving your bed. 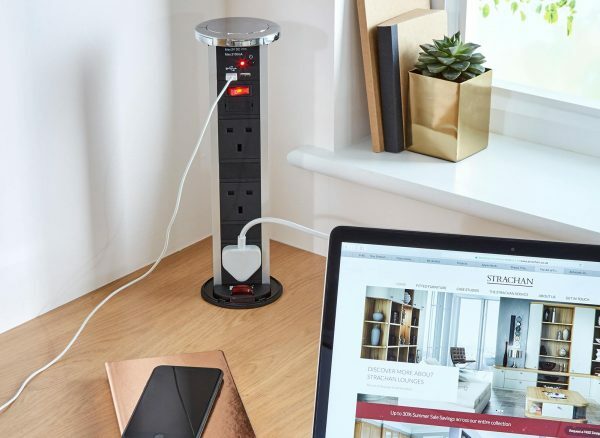 Ensure your work space stays effortlessly organised with the addition of easy to reach pop-up power points. Shown in a stylish chrome finish, this feature puts an end to tangled wires in awkward places. They are discrete and easy to hide before your guests arrive. 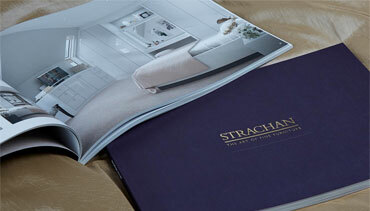 Your Strachan designer will utilise every inch of space to create exceptional designs you'll simply adore. 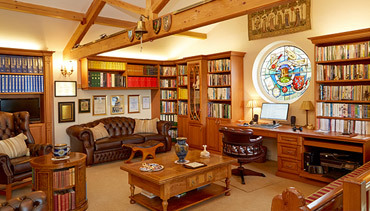 This curved desk makes the most of the room’s corner to deliver a generous work area and take advantage of the natural lighting provided by the window. 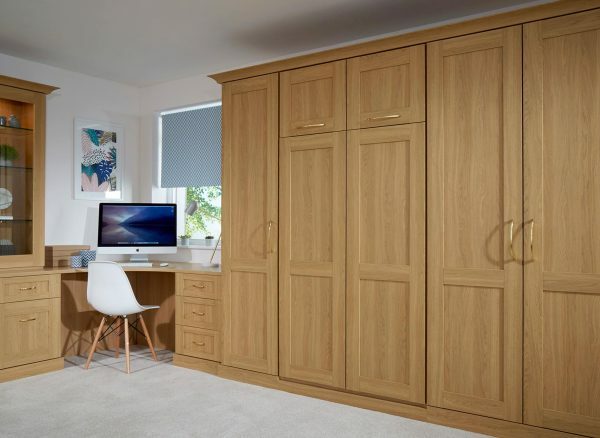 Your study bedroom furniture can be configured to include a fold down bed, spacious wardrobes and practical office features. These are handcrafted in the classic Verona design and in a beautiful English Oak wood grain finish for a look that is as elegantly functional as it is comfortably inviting.